My project this weekend was this desk organizer. I found it at AcMoore in the wood section a few weeks ago...I need something by my computer to hold pens and notebooks and other little office stuff that I seem to keep misplacing on my desk. At first I didn't know how I was going to dress this up. It was one of those things that I had to keep moving stuff around to figure out what I was going to do. I had to walk away and it wasn't until 9:30 last night that I finally was happy with how it was coming together. The below picture shows some of the punch outs that coordinate with the Queen Bee collection. The pearls are from Prima's E-Line Collection. and for the bottom front of the organizer I used the coordinating Queen Bee Ribbon (it's hard to see in the below picture). I was digging through some of my Prima Flowers and came across these really pretty orange, green, blue and pink flowers that I got at Michael's a while back. I think it gave it the perfect pop of color. I really enjoy making altered projects. 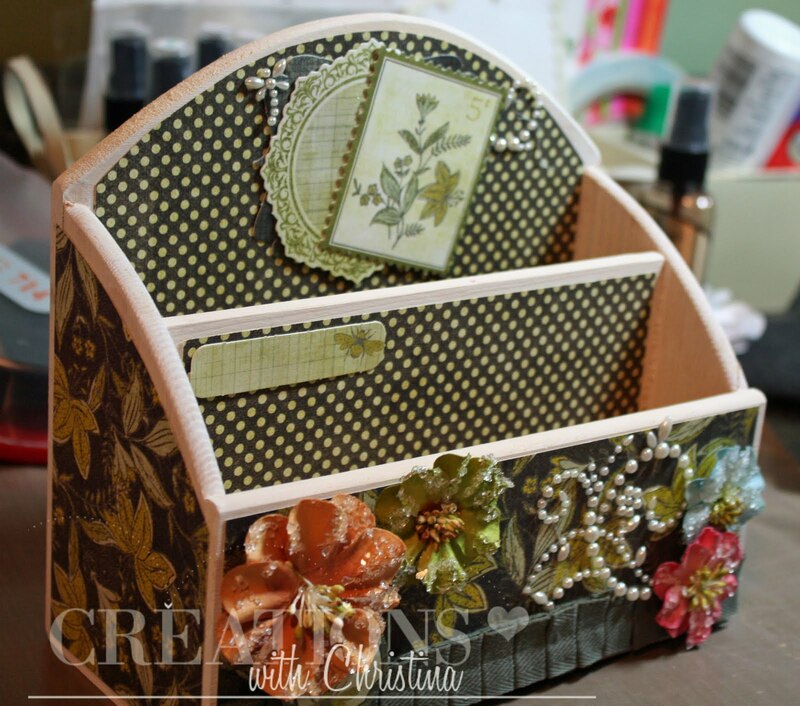 I found this really neat wooden box that is going to be really fun to alter. I think it would be perfect for holding a mini album. Since I'm on vacation next week with no plans of going away (other than a few day trips here and there), I can maybe work on a mini and alter the box too. I hope you all have a great day. I love it, so pretty and so handy! This turned out beautiful. Love the papers you used and it won me over with the pearls! This is beautiful! 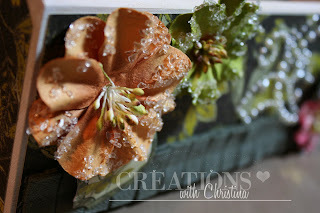 I love fun altered projects such as this - can't wait to see the altered box. I love your desk organizer!!! :) It's totally my style. I like shabby chic...sort of Ballard Designs-like (you wouldn't know it looking at my house, though; hubby's not a big fan)! You did such a great job! what a great Idea Thanks for sharing. I think Michaels have these as well. Absolutely beautiful Christina!!! Thanks for sharing your talent with us! Your desk organizer is gorgeous. You are very talented. I would love to see a straight view close up. Wonderful project and practical too. 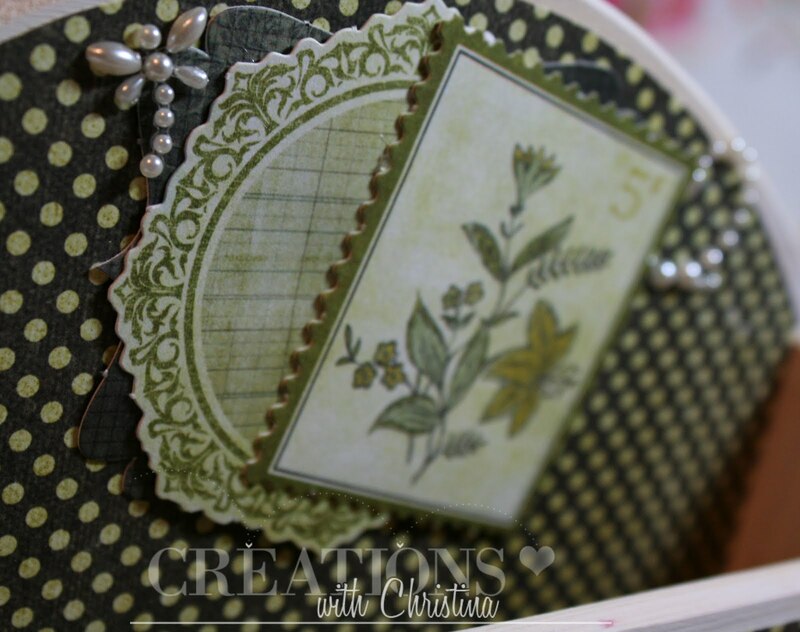 Love the Prima flowers. That is so cute! Have you ever seen a storage container for Copics that will allow them to lay horizontal and still be accessible? Wow, perfect timing. I was just looking at my coffee cup pencil/pen/scissor holder and thinking I needed something bigger. You did an outstanding job on yours. I love it. I LOVE what you did to the organizer!! Really pretty!! TFS!! Have more of a question. Wanted to get an ATG gun and was looking at the 700. Is that a good choice as would like a small one.? Really pretty! This is about the sixth time I've seen these papers used today! They're so pretty. Great project. This is GORGEOUS! You are such an artist!! The colors look amazing I love this paperline I have these same papers I did a layout with, maybe I need to visit the wood section of Michaels! Your Michael's has the best treasures! PS Did I mention that I LOVE LOVE LOVE my paper trimmer thanks again! This is beautiful! I love that paper. It is wonderful. Wow it is beautiful you really pulled it all together it's going to look awesome a nice piece of art decor. You really have an eye for putting patterns and designs together. Thanks for sharing. Beautiful. You have such wonderful ideas and you give me such inspiration. Keep up the great work on you blog. I love it. BEAUTIFUL my sweet friend!! I just LOVE it! That is gorgeous. I love to alter myself. It's amazing what you can do with a blank canvas. Love the colors. oooh, pretty! I LOVE it!